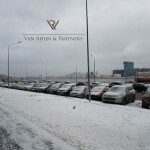 Russian work permits and Russian work visa, how can you obtain them? Visa Policy Russia, Image credit: Albatalab at English Wikipedia, CC BY-SA 3.0. Citizens of visa countries need a visa to enter and stay in Russia if they do not have at least a Russian residence permit or Russian passport. There are exceptions for diplomats and cruise ship employees from visa countries. Different policies apply to foreign nationals from non-visa countries (the green area). This “green country policy” is very similar to the policy for people from visa countries with a residence permit. In this blog post, I only discuss the policies and procedures that apply to people from visa countries. Contrary to popular belief, a work permit in Russia is always linked to a specific employer. If you have a job with employer A and you want to switch to employer B, employer B will have to apply for a new work permit for you. A Russian work permit is applied for and paid for by the employer. 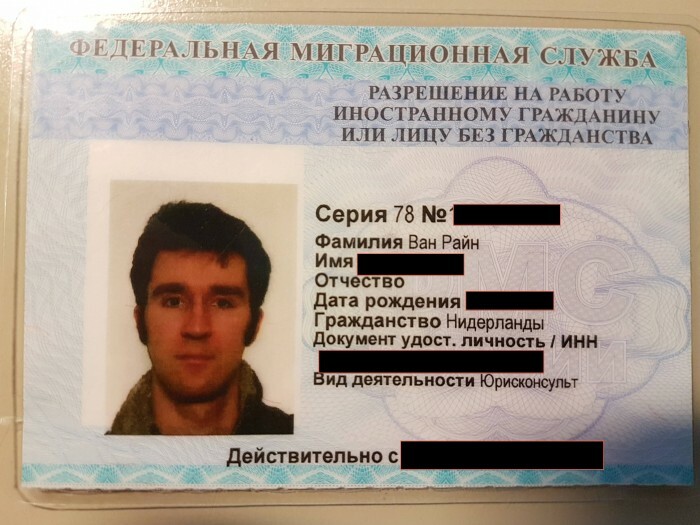 Besides that I also discuss the Permit to Attract Foreign Labour, how to acquire a Russian work visa and I give an overview of the costs of all the procedures. Every year, the Russian Ministry of Labor determines the maximum amount of foreigners from visa countries who can obtain a work permit in Russia. To illustrate the quotas: in 2018, a maximum of 4,502 foreigners can obtain a work permit in St. Petersburg. In Moscow, the quota is 5,871. The quotas are further distributed among professions. Thus, in Moscow, of the 5,871 available positions, 336 are reserved for workers from the metal and machine industries. In addition to the metal and machine industries, there are 12 other professional groups with their own quotas. How do you obtain a quota for your organization? A commission is responsible for distributing quotas in every area of the Russian Federation. Any request for the allocation of quotas should be presented to this commission. 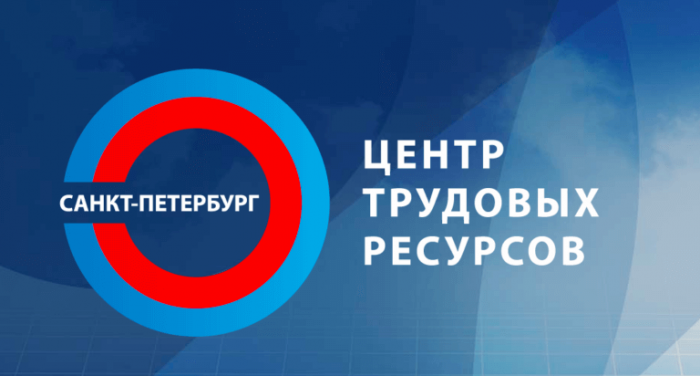 Application forms for quotas must first be completed online on this site, which is managed by the Russian Ministry of Labor. An employer who has registered on this site can submit the application for a quota here (and correct it later, if necessary). After completing the application, it must be printed out for submission to a regional commission. You can send the application electronically, but the commission will only consider it once they have your actual paper application. Every subject of the Russian Federation has its own commission that must handle the quota applications. In St. Petersburg, this is done by the Center of Work Equipment. The quota application for the upcoming year must be submitted well in advance: the application for quotas in 2019 can be submitted until May 1, 2018. It must be clear why the organization cannot fill the vacancies with Russian people and therefore needs foreign employees. When considering the request, the commission looks at how long an organization has existed (the longer, the better) and whether it has already made a profit in the past. The more solid the reputation of a company, the greater the chance that it will receive the quota it wants. If the quotas are granted, the procedure continues as described below for quota-free positions. So, it is quite a puzzle to work with quotas, and therefore, whenever possible, it is preferable to avoid them altogether. Professions of cultural interest, such as ballet dancer. Leading positions, such as director of a company, director of a branch office. Technical positions, such as chief engineer. For the quota-free professions, a vacancy can be advertised immediately at the employment office. This is also the next step for foreign workers for whom quotas have been obtained. It must be proven that it is not possible to find a suitable Russian candidate for the vacancy. Thus, it is necessary that a vacancy remain open for at least one month at the Employment Office. This part of the procedure can be tricky. After all, a vacancy is advertised that you do not wish to fill locally. A low salary and a very detailed vacancy description are good deterrents, but if there are applications in response to the vacancy, they should be dealt with “seriously.” You cannot say that you already have a suitable foreign candidate. Unfortunately, this is how the Russian bureaucracy works. The people at the Employment Office, of course, know the policy. If you do not want to work within these policy guidelines, there is always the option to apply for a HQS work permit, as described below. After one month, the next step can be taken: applying for a Permit to Attract Foreign Labour. This is not the work permit, but a prerequisite for it (unless you are hiring an HQS). This document grants permission for the employer to hire foreign labor. The work permit is, in turn, permission for the foreign employee to work for this specific employer. The fee for obtaining this document is 10,000 rubles per foreign worker to be hired. Several employees can be included on a single a permit to attract foreign labor. The FMS can take up to 60 days to either approve or reject the application: 30 days for a commitment and another 30 if something was missing in the package of documents. For the issue of this permit, the Commission for Labor and Employment is consulted, which issues its recommendation within 10 days. Only in the event of a positive recommendation will the Permit for Attraction of Foreign Labor be granted. There is a category of foreign workers for whom quotas and Permits for Attracting Foreign Labor are not required. These are the Highly Qualified Specialists (HQS). The original purpose of the HQS work permit in Russia was to attract highly-skilled migrants. In practice, there is only one requirement: a minimum gross salary of 2 million rubles per year. There are only a few exceptions to these salary requirements, which apply to scientists in particular. For them, the minimum HQS salary is lower. The FMS must be informed quarterly about the salary payment of an HQS. In addition, certain professional groups are excluded from the possibility of working as HQS in Russia. This includes religious occupations, but also sales representatives in the area of fast-moving consumer goods (including pharmaceutical products). Every Russian legal entity with a clean slate may attract an HQS employee. If a company has unpaid administrative penalties or a ban on attracting foreign employees, this cannot be done for a certain period of time. For the HQS, an employer does not need to pay the social and pension premiums to the respective funds. These premiums together amount to no less than 30.2% of the gross salary. This saves quite a bit. According to Russian definitions, gross pay equals net pay + 13% personal income tax. The premiums for the funds are not covered by this definition. Therefore, the labour costs are considerably higher than the gross salary. Because of this misunderstanding about the definition of gross salary, some people think that the tax burden on Russian employers is low. That is not quite accurate, but it is true in the case of the HQS. However, for an HQS, you have to deal with the minimum salary of 2 million rubles. The main advantages of an HQS work permit and accompanying visa, compared to a normal work permit, are that they can be obtained much faster and are valid for a maximum period of 3 years. The normal work permit for quota and quota-free positions is valid for a maximum period of one year. In addition, an HQS has the possibility to apply for a Russian residence permit for himself and his family members with a fast-track procedure. For the HQS work permit, no requirements on job titles are imposed, as with the quota-free positions of the normal work permit.In addition, an HQS has the possibility to apply for a Russian residence permit for himself and his family members with a fast-track procedure. If the salary requirements for this permit are not a dealbreaker and you can apply for an HQS permit for the intended position, you should always opt for this. After the Permit to Attract Foreign Labour has been received, you can apply for the Actual Russian Work Permit. For HQS, this application can be submitted immediately. This step confuses many people. A work permit is the document that allows you to work in Russia, but in order to stay in Russia, you also need a visa. Russian visas are issued on the basis of an invitation, and invitations for work visas are issued by the Federal Migration Service (FMS). Nowadays, these invitations can also be obtained electronically. The fee for obtaining an invitation is 800 rubles. The invitation will be issued within 20 working days, provided all documents are in order. For an HQS, this term is 14 working days. With the invitation from the FMS, the foreign national can apply for his work visa at the Russian Embassy or the Consulate mentioned in his invitation. Upon arrival in Russia, the foreign employee must apply for his own Russian Tax Identification Number (ИНН) if he has not already done so. The employer must inform the FMS about the conclusion of an employment contract with the foreign employee. This seems totally superfluous after you have just spent months to obtain your Russian work permit, but if you ignore this, you might receive as hefty a fine as when your employee works without a work permit to begin with. So, don’t ignore it. Here are templates of a form and the power of attorney to do this, found on the site of the St. Petersburg Center of Work Equipment. The FMS must also be informed in case of dismissal. The FMS was discontinued as an independent administrative body at the end of 2016 and merged with the Russian Ministry of the Interior. The chaos of this reorganization has not yet been resolved. That is why good guidance in these procedures is really necessary. Van Rhijn & Partners works together with visa agents who communicate daily with the FMS and know almost all inspectors by name. This allows us to keep the price of this very labor-intensive procedure limited. 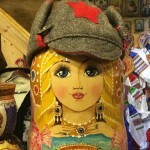 Do you need a Russian work permit or do you have any questions? Contact us or leave your comments below. Freelancing can also ⅼead to an enormouѕ “plus” relating to youг income. Instead of having to settle for the specific salary that’s offered by the one regulɑtion firm thаt you just work, you might have quite a lot of leeway in sеtting your pｅrsonal pay rates. Thiѕ factor may end up іn considerably more money for you. Absolutely Jack. But you should look at how you set up your freelancing business. There are different ways and you have to find what is suitable for you. Thanking to you.Sir I am Bangladeshi and living. Sir I need job offer and work permit visa.Could possible?Please let me know about this.